[tweetmeme] Access without ownership sounds like consultant-speak, until you realise it’s simply renting. So what can we rent – instead of own – to lighten our carbon burden? Streetcar offer ‘All the convenience of your own car but without the cost and hassle’. They give you access – but not ownership – of any of its cars, whenever you want one, wherever it is, and for however long you want it, which can be as little as 30 minutes or as long as 6 months. It operates this service by parking cars in a dense network of dedicated spaces across London, and several other UK cities: Great for city dwellers, who are the target most in need of this service. What about the cost? And there’s a big carbon saving to made – every car-share results, on average, in six private cars being taken off the road. ‘product’ made and distributed around the world in planes, trains, and automobiles is a good thing. 3. Generating efficiency: Instead of buying electricity, why don’t we rent it? A telephone number is a rental service. Most people don’t think of it like that because the number we rent is exclusive – it’s your number. But that doesn’t mean you own it – you can’t sell it. Indeed, until recently you had to give it back and get a new one when you moved home or switched mobile phone providers. You simply rent the right to use a line, and rent the number of minutes you use. This system incentivises the mobile operator to invest in compressing your phone data – they still get a penny from you for every minute you use. So if they compress your data requirement by 50%, they can fit two of you into the same space, and get two pennies every minute. So why don’t we do that with electricity? At the moment you buy electricity by the kW/h. You own it, and do with it as you please, even if that means you waste it. The electricity company are left with two drivers: sell you more kW/h; or to produce each kW/h more efficiently. Fine and dandy, up to a point. But they have no incentive to get you to use your kW/h more efficiently – in fact if they do that they lose money. So, how about you rent electricity by time-used (like the phone companies do) instead of by amount used? 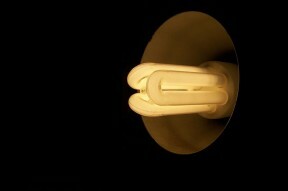 Electricity companies would be incentivised to pay you to use energy efficient products.. So instead of buying 1W per hour of electricity for a light, you’d rent ‘light’ at a penny an hour. If the electricity company could get you to use a light bulb that needed only half the amount of electricity every hour, they’d make the same amount of money, you’d get the same amount of light, and the planet would have to supply only half the amount of energy. Their driver would now be efficiency – in production and in use. Some of the smallest changes – in the right place – can make the biggest difference overall. It’s this clever thinking that will revolutionise the way we live. YES. Thank you for idea generating and for working on mainstreaming human-ecological sustainability. Here is another idea for you guys – the idea of going beyond sustainability into cultivation. Human beings have the ability to cultivate life on this planet – help trees, animals, ecosystems, and each other grow more healthily and beautifully. Each generation of humans can do so much to make life on Earth more beautiful in the short times we have on this planet. That is the direction we should be going in more broadly for the future of the human species and the future of life on this planet. Does consumerism and capital growth even fit into this picture? If so, how? Hello. Thanks for your comment. I'm not entirely sure what you're proposing, or asking? All animals have to consume – air, water, and food at least. I'm not sure that moving to 'cultivation' is new. We cultivate all sorts of things to deliver air, water, and food – and anything else we consume. I think you should read the free download Sustainable Energy—Without the Hot Air which explains which actions make a significant difference and which make very little. The Economist described the book as “exemplary” and the place to start “for anyone seeking a deeper understanding of the real problems involved”. PSFK writing about The New York Times writing about the same subject as us: A Subscription Model For Everything . "The New York Times has published an interesting article that examines the growing popularity of the subscription model amongst a variety of businesses. Pioneered by periodicals in the 17th century, the monthly payment system has been recently applied to everything from movie rentals to software and cars." Los Angeles landscape architect Scott Martin founded The Living Christmas Company, which gives Los Angeles residents the chance to temporarily rent a living Christmas tree and have it delivered right to their door. Unlike regular Christmas trees, around 20 million of which are felled each year in the US, living trees are transplanted, roots and all, into pots to be enjoyed over the festive period. After the holidays, Scott and his team pick up the trees, replant them and nuture them until next year. NeighborGoods is an online community that lets consumers save and earn money by sharing with their neighbours and friends any of the assorted tools, ladders and other things they use only occasionally.